The BioChem Forum 2018 as seen by Alsace20. Research in biology and chemistry is increasingly interconnected around key areas and major societal challenges such as health, food security, new sources of energy, environment, and adaptive systems. This convergence is found in the context of fundamental approaches as in innovation towards the development of new technological and scientific platforms, and industrial applications. Strasbourg, the Grand-Est Region and the TriRhena region have a long tradition of excellence in the disciplines of chemistry and biology with many players involved in the chemistry-biology interface. It is essential for these players to come together for the purpose of promoting dialogue and exchanging ideas to better understand the objectives of potential partners and to strengthen the establishment of collaborations, which in turn should foster the development of national and European projects, and promote employment in the Grand-Est and TriRhena Regions and their neighboring areas. The BioChem Forum is set up to facilitate these exchanges between researchers, industry partners and students. Following the success of the first edition in 2016, a second edition of the BioChem Forum will take place in 2018. 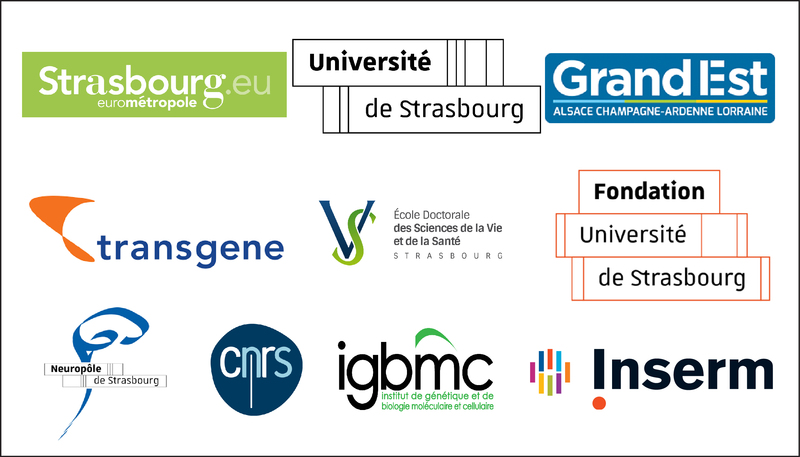 The 2018 BioChem Forum is organized in partnership between the Société de Biologie de Strasbourg, the Société Chimique de France-section Alsace, the Société de Chimie Thérapeutique, the Association des Doctorants et Docteurs d’Alsace, the IGBMC Student and Post-doc Board, the Alsatech network through the engineering schools ECPM and ESBS, and the University of Strasbourg through its Faculties of Chemistry, Pharmacy, and of Life Sciences, and its Graduate Schools of Chemistry, Chemistry and Chemistry-Physics, and Life Sciences and Health. When: 7th and 8th of June 2018. Where: Amphithéâtre Cavaillès, Campus de l’Esplanade, Strasbourg. Plenary sessions around general themes with researchers and members from companies showcasing the diversity of approaches that can be used on the same theme. Round tables for participants to expand their knowledge and share their experience on specific topics. Stands enabling companies to present their research areas and trades, and public actors to present their training and partnership initiatives. Posters sessions to enable researchers to share their findings with all participants.